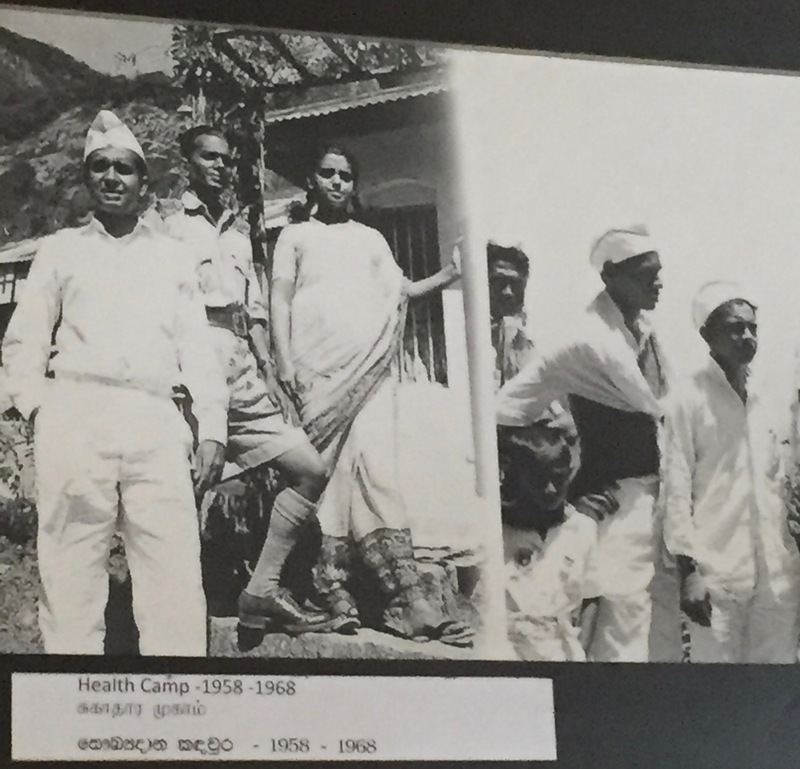 Beginning in just one village and extending the movement to service a total of more than 15,000 villages over the past 50+ years has been a fascinating adventure. Initially it involved an education program that aimed at enabling students and teachers to live and work with the most remote village communities in Sri Lanka, lending a hand and developing self-help initiatives. Within nine years the “service learning programme” had expanded into a full-fledged development movement in hundreds of villages, with the goal of a comprehensive and nonviolent social transformation. During its first 15 years, Sarvodaya grew with hardly any foreign aid or state support, relying on volunteer labour, mostly from the beneficiaries themselves. 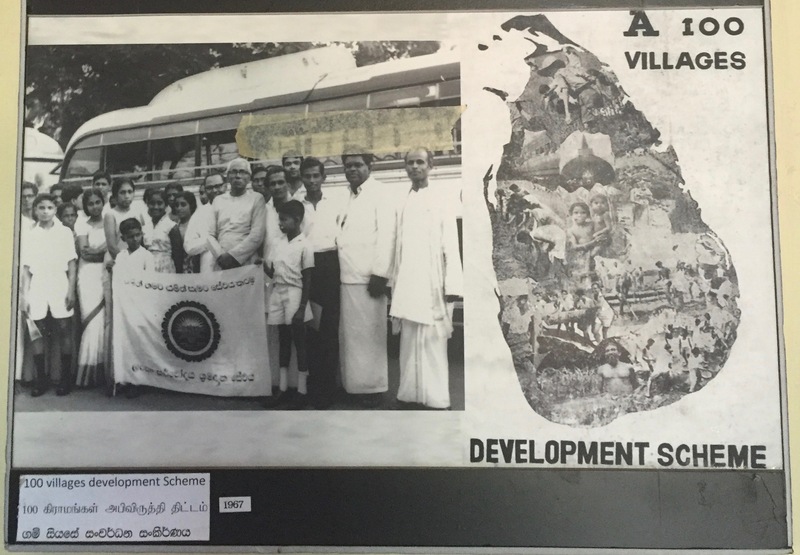 By the late 1970s, the Sarvodaya Movement, with support from partner organisations in more prosperous countries, became capable of reaching nearly every part of Sri Lanka. The programme of self-reliance, community participation and a holistic approach to community “awakening” appealed not only to people in poor communities, but also to donors. 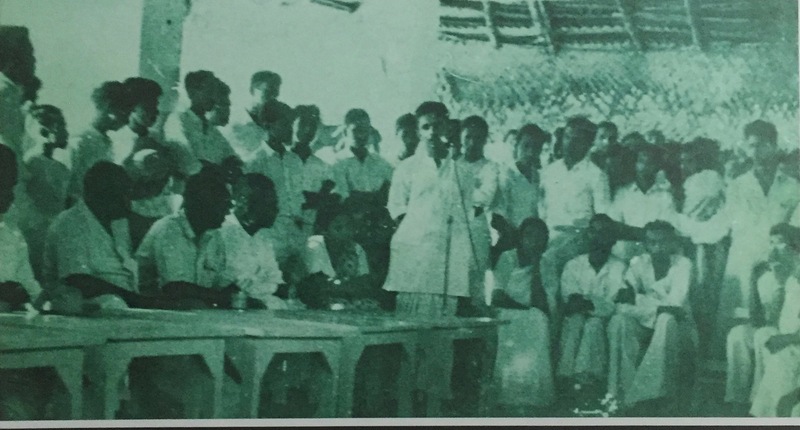 Thousands of young men and women learned how to motivate and organise people in their own villages to meet the ten basic human needs, ranging from a clean and adequate drinking-water supply to simple housing and sanitation, communications facilities, energy supplies, education and ways of satisfying spiritual and cultural needs. During its first three decades, the Sarvodaya Movement was able – initially without any assistance, and later within a framework of development cooperation with like-minded organisations – to become one of the largest participatory organisations in the region. The momentum of the movement was such that by the early 1990s, in spite of harassment by the government and political violence, Sarvodaya had achieved an enormous outreach. The movement’s work now included peace building, conflict resolution, appropriate technology and programmes for children at risk, elders and those with disabilities all the while focusing on a holistic approach to social mobilisation through empowerment of people beyond mere economic development. At around the same time, international priorities changed, switching to economic development strategies. Large projects and macro-interventions began to dominate the scene amongst donors, and Sarvodaya, which had originally attracted attention due to its broader based philosophy, became the victim of its own success. In 1991, when 85% of its external aid dried up, the movement was forced to go back to its roots. From then on, we relied on our early pioneer villages to provide support for the surrounding communities still requiring development. In addition, we reduced the numbers of paid staff and counted on the commitment of Sarvodaya’s long-term supporters to keep the movement on course. The Sarvodaya Shramadana Movement has now become stronger than ever before. A new administrative management at national level is supporting a motivated group of emerging leaders at the village and district levels. Although almost one-third of the districts supported by Sarvodaya are not financed by outside partners, they are nevertheless surviving in the knowledge that in the long term, progress for them will result from partnership and self-sustaining development activities rather than from charity. Our important role in peacemaking, community building, and securing a certain quality of life in Sri Lanka is undiminished, and our will to achieve innovation in the social, ethical, cultural, spiritual and economic fields is constantly nourished by partners who have the confidence that our 50+ years of experience – including periods of hardship – have timeless value.